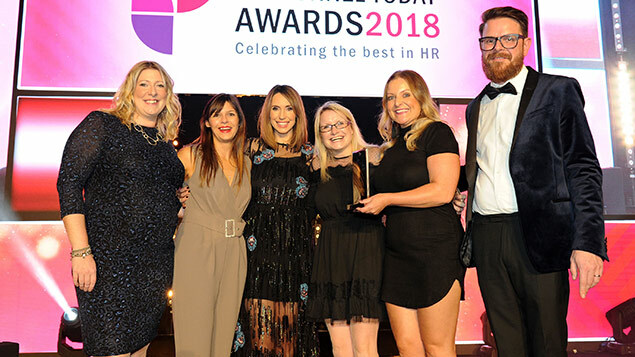 Packaging, environmental and waste management compliance business Comply Direct landed the Employee Benefits Award at the Personnel Today Awards 2018 with a strategy that led to employee turnover being halved. The judges were also impressed by the initiatives implemented by the runners-up. With employee turnover at a higher level than the company was comfortable with, and employees increasingly unable to clearly see the link between performance and reward, Comply Direct in 2016 decided to renovate its reward and recognition strategy. This coincided with recognition that the business was no longer a start-up but an established SME and adjustments needed to be made with employees to establish a culture of high performance and improve engagement. The resulting reward framework had to be transparent, simple, fair, align staff with company objectives, and able to speed up employee progression. A staff survey considered what a new reward system should look like and research was conducted about successful systems at other companies. A framework was developed consisting of 10 high performance attributes with financial bonuses linked to scores, employee of the quarter bonus, employee of the year, annual profit-related bonus and annual pay increases. One-to-one meetings were held and group presentations to communicate the new scheme to all employees. Results are very encouraging: employee turnover levels have halved, innovations in non-core services have seen revenues rise, staff have seen their earnings rise on average by 18% and there has been a major increase in training. The improvement has been recognised by employees with nearly 90% agreeing that they feel appreciated, in comparison with the 54% recorded a few years previously. The utility company felt that its strategic objectives of helping customers understand their role in reducing water usage needed more engagement and motivation from its workforce. To achieve this, it partnered with Xexec to develop a formal employee recognition programme. Going the Extra Mile (GEM) is a bespoke online reward and recognition portal that has been extended to partner employees too. Xexec’s software has allowed a complex approval process for awards to be fully automated, relieving the administrative burden for HR. Rewards are clearly linked to Anglian Water’s core behaviours, such as providing constructive challenge and taking responsibility. The scheme has been designed for a broad range of jobs including mobile engineers, office staff and customer service teams. It is constantly evolving and has recently seen the inclusion of long service awards, customer service awards and enhanced management reports. GEM has resulted in a sharp improvement in colleagues to recognise and reward each other’s achievements and engagement levels have soared. Within just five months there have been 8,471 employee nominations and 345 teams nominated, with 61% of employees receiving an award from GEM. PR consultancy Cirkle, faced with an increasingly competitive market, has set out to improve its ability to attract and retain top talent. In December 2017 the company launched four new values – “we’re on It”, “we do the right thing”, “we bring out the best”, “we see the positive” – that sit at the heart of its benefits package. The HR director worked with each team member to help define their individual values. Five benefits pillars were identified: financial and ownership; flexibility and holidays; wellbeing and purpose; recognition, surprise and delight; and professional development. All team members are partners and can earn from talent recommendation and new business referral schemes. Employees can work flexibly and there are mind, body and soul initiatives provided. A “social purpose squad” organises charity events and a full calendar of social events including candlelit yoga and silent discos pulls colleagues together. Internal and external sessions focus on skills development with Strategy Training Takeover Weeks proving particularly successful and engaging. The policy of giving ownership to all employees has led to a highly motivated workforce with excellent retention levels and very low levels of sickness absence. With high client retention rates it appears that the five benefits pillars have played a vital part in the company meeting its business objectives. In 2011, after combining three companies into one and increasing headcount from 250 to more than 2,000 within four weeks, it was clear that a major initiative was needed to establish a strong culture and improve business performance. As a result, local engagement champions have been established, an annual engagement survey was set up and corporate action plans enacted. The company sees the introduction of engagement champions as fundamental in its success. Their role is to work with line managers to develop local action plans, act as ambassadors for engagement, liaise with line managers, team members and other champions to share best practices, and regularly feed local action plans/update results to the lead engagement champion. Since 2012, Welsh Water has worked closely with trade union colleagues and the Welsh government’s Wales Union Learning Fund to offer an IT essential basic skills programme to all colleagues, which has developed the basic IT skills in its workforce. Over the past six years or so engagement and responses have generally improved year on year to peak at 80% in 2017 against 70% as a private sector average. A wide range of employee benefits have been introduced covering physical and mental health, relationship difficulties, financial worries, and medical consultations and physiotherapy. The engagement strategy has been critical in delivering culture change and colleagues now have access to mechanisms that can provide feedback from all parts of the organisation. Housing is not generally seen as a career option for people starting work or seeking a career, despite the size of the industry and there being a housing crisis, particularly in London. Flagship found that although 60% of its employees stayed for five years or more and understood the group’s social purpose of “providing homes for people in need”, they didn’t feel valued for the work they did by their managers, their colleagues or the business. Many managers were perceived as being “parental” in style. A transformation in employee engagement and experience was needed. The response centred around finding out from staff how they saw the group’s core values. These were defined as: “great people doing great things”; “relentlessly improving performance”; spending money wisely; and delivering outstanding customer service. The group has identified behaviours that relate to each value and now use these to recruit, develop, reward and retain employees. Agile working has been introduced with a more trusting culture from management, and a wellbeing scheme established, with online advice and live events. Under the Flagship Rewards employee benefit programme, Flagship employees can save money with discounts and savings to over 800 retailers from groceries and shopping through to holidays, cashback and healthcare cash plans. As well as discounts and savings, employees can purchase a bike tax-free. Currently, 75% of all employees are users of Flagship Rewards. The results of these initiatives have seen the in-depth staff engagement survey achieve rising scores over the past two years. Business finance company Liberis recently set out to create a multi-dimensional wellbeing programme as part of its overall benefits package. The scheme includes not only physical and mental health but support for financial concerns too. 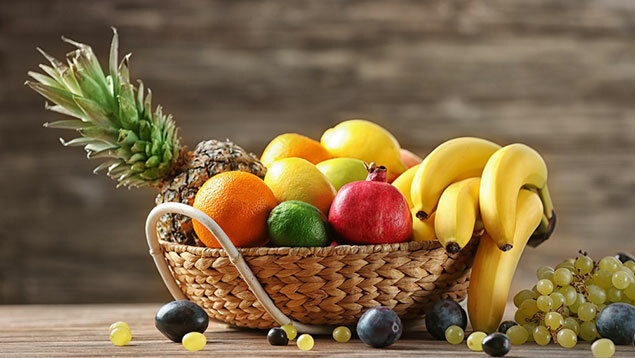 Schemes including Cycle to Work, gym discounts, free fruit and breakfast, a voucher-based eyecare service, a healthcare cash plan to cover the costs of visits to dentists, opticians etc and free flu jabs. The financial benefits include a comprehensive life insurance plan, childcare vouchers, a scheme that pays a percentage of motoring costs, technology purchases, and a debt service that reduces the cost of borrowing. A rewards programme offers cut-price cinema tickets and insurance of valuable items. Liberis has signed up to Time to Change, a mental health campaign that involves the company committing to an action plan involving an online feedback portal, establishing mental health champions and providing myth-busting information to help tackle the stigma that clouds attempts to tackle mental health problems. A helpline and free counselling sessions with fully qualified professionals are also offered under the programme. The company says that this comprehensive, proactive policy towards health has cut sickness rates, and helped staff with rehabilitation after illness and accidents allowing them to return to work. In 2017, four councils in south-west England set up a Teckal employment company (a company created by local authorities without private financial involvement) with the aim of meeting budget cuts while delivering improved shared services and pooling resources. This was called Publica. The new company recognised that making savings while improving services meant that employees had to continue to be fully engaged and new talent attracted. Publica needed a harmonised approach to pay and reward that would underpin the new culture and safeguard retention. This would involve introducing best practice from private sector examples, overcoming employee fears over changes, and achieving union buy-in. The councils partnered with Innecto and held a series of focus groups, surveys and an internal audit of pay and practice. This meant they could adapt their current approaches to reward. External benchmarking helped Publica to understand its position in the wider market. The resulting insights informed Innecto’s creation of a reward strategy, benefits solution and recognition programme. The Publica Way recognises and rewards behaviours consistent with the organisation’s values. It offers a single universal platform for flexible benefits, total reward statements and an innovative financial wellbeing programme that provides the entire workforce with access to a funded digital financial adviser. This has been coupled with a thorough communications strategy. More than 600 employees have moved across to Publica since its creation last year. A staff survey conducted in January 2018 found that 84% of respondents had reacted positively to the new rewards programme.